We went to see ‘A Star Is Born’ last night (which we loved!). There was one quote in particular which has stuck with us: “talent comes everywhere, but having something to say and a way to say it so that people listen to it, that’s a whole other bag. So you say it and you don’t apologize, and you don’t worry about why they’re listening, or how long they’re going to be listening for, you just tell them what you want to say”. We realised that this sentiment rings true for all of us. Each of us have a story. Our individual experience of this thing called life. And we have a right to share it if we want to. Whether others listen is up to them. Kevin and I have our own story which we share with our Centred Meditation community. At times, we find ourselves wondering whether we share too much, or too often, but then we say it anyway. We’ve been trying to have a baby for almost 2.5 years. We giggle when we think back to the total shock we were in when we discovered it hadn’t happened that very first month. What a journey we have been on since! We’ve sought treatments from loads of different modalities. From Ayurveda to Naturopathy, Clairaudiency to Accupuncture, Reiki to Coaching, Gynecology to Laparoscopic surgery. We’ve heeded our friends and family’s advice: “Do less…Put on weight…Take a holiday…Don’t focus on it…See a ‘real’ doctor…Put your legs up”. Emotionally, we have been through so many different phases and spaces. From angry to excited, disappointed to accepting, numb to empowered. Thanks to a lot of personal growth work, most of the time, we sit in the empowered basket. Yet there are times in which we don’t. This month was one of them. You see, we had a really good feeling about it this time round. We let ourselves live into it. Imagine it, dream about it, get excited by it. Only to be let down once again. We don’t look at social media much. By no means are we morally opposed, we just don’t spend our time on it. I (Nikki) happened to be having a scroll the other day, only to witness my newsfeed being flooded with images of births, birthdays, pregnancy announcements and the like. I couldn’t help but feel all those unpleasant emotions well up inside – comparison, envy, upset, disappointment. Along with the irrational thoughts: “But they are so much younger than us. “But they got married so much after us”. “But it’s their second and we aren’t even onto our first”. When we delve deep inside, we come to know that we are exactly where we need to be. We know with every ounce of our beings that we are going to have children one day. We know that in fact our lives couldn’t be more perfect with our unbelievable relationship, our beautiful home, our loving families, and our inspiring Centred Meditation community (i.e. you!) We know that this is simply part of our journey and that everyone is on their own journey with their own unique set of challenges, just like us. Those that are single but desperately want to be in a relationship. Those that feel trapped in a relationship and wish they were single. Those that can’t stand their job but are afraid of the alternative. Those that love their kids but would do anything for a holiday (without them). They say that if all of us we could put our problems into a pit in front of us and were allowed to choose anyone else’s, we’d usually end up choosing our own. This definitely rings true for us. So we choose to feel upset about what we don’t have, grateful about what we do have, and then continue to live into the future of what we know we one day will have. Five years and counting – woohoo! Love everything about Centred Meditation! The space is clean and comforting with oil diffusers, a water fountain, blankets and tea - it's the perfect environment to get the most out of your session. I've already felt the benefits of meditation after 5 sessions :) Would recommend Centred Meditation to everyone, whether you've never meditated before or are looking to deepen your practice. I've just recently discovered Centred Meditation and I'm so pleased that I did! I've been looking for some way to try to relax and bring calm into my day/life, I don't have time to do classes at night and I can't often spare an hour in my work day so these classes are perfect for me. After my half hour meditation session at lunchtime I feel more positive and calm facing the second half of the day and I feel it's definitely of huge benefit to me. I hope to continue going to the classes 3 times per week as I feel it will be even more beneficial the more I attend. I was reluctant to come here because I had tried doing guided meditations through YouTube but could never get into it. It was from a recommendation from a healthcare professional so I thought I would try it out given they have the good intro deal. I have been every day for the past 5 days during my lunch break and I’m a complete convert. It’s so easy and close to work and no fuss. The classes start on time and finish on time and you don’t have to talk to anyone if you don’t want to which means it is really minimal effort wise. I’ve found the teachers very calming and helpful and will definitely be back! Coming here is my favourite new addition to my weekly routine. The space is well thought out, the teachers are experienced and I always feel calm and balanced after my session here. The location is easy to get to before or after work, and never regret attending! 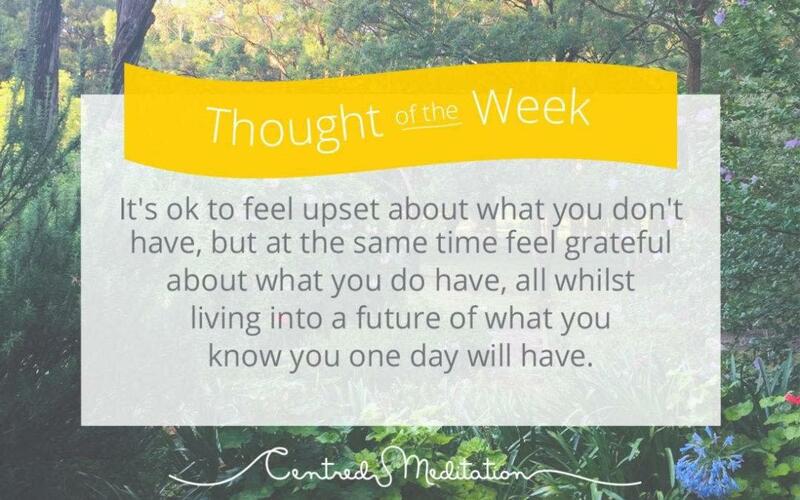 Thank you so much Centred Meditation! Game changer to my week.